Office hours: lunedì 16-17 e martedì 16-17. 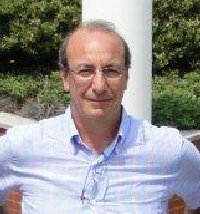 Si consiglia di prenotarsi inviando una e-mail all’indirizzo gianmaria.martini@unibg.it. Professor of Economics at the Università degli Studi of Bergamo. Head of the Department of Economics and Technology Management (2010-12). Coordinator of the PhD program in Economics, Management and Technology (DREAMT), a School managed jointly with Università degli Studi di Pavia. PhD in Economics at the University of York (UK) with a thesis on firms' strategies in imperfect competitive markets and competition policies. Research activity focused initially on collusive models and the effectiveness of antitrust policy. Later more effort was dedicated to the analysis of non-price competition in oligopolistic markets, i.e. R&D and vertical restrictions. Many contributions deal with regulation, with applications to the energy sector (mainly the oil industry and the organization of the gasoline retail network), to the air transportation sector and to the health case sector. Recently, the attention has been extended to parametric and non-parametric methods to estimate technical and economic efficiency, with applications to the health care sector (hospital efficiency) and to the air transportation sector (airport efficiency). He has published several papers in international journals and presented his research results in many international conferences. Rapporto di Ricerca "Sussidiarietà e Spesa Pubblica"